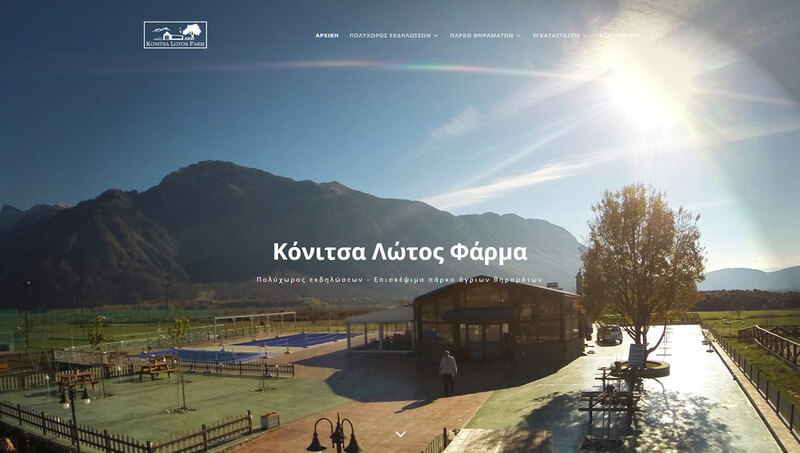 Konitsa Lotos Farm (konitsalotosfarm.gr) is an activity and events area in Konitsa. Just 60 kilometers away from the city of Ioannina, it’s the ideal place to make good use of leisure time, unique for the hosting of school excursions, social events and sport activities. In an area of 130 decares is accommodated wildlife of Greek fauna as well as various exotic and decorative animals, in specially modified visit-able areas, designed with walking paths. We undertook the complete reconstruction of its corporate website with the use of WordPress. We took care for the integral technically and following today’s web standards development of all web-pages.